Let’s face it, nutrition trends are everywhere. Especially when it comes to weight loss. Some have merit, and some don’t. If you want to know my thoughts on one of the hottest trends now, intermittent fasting, then you’re in luck! I just happened to try intermittent fasting for the first time last year during the month of March. It was an interesting experience, and I did feel a whole lot better in the ways of energy, as intermittent fasting does have a detoxing effect on our bodies. Of course you do want to do this safely if you’re going to do any intermittent fasting! 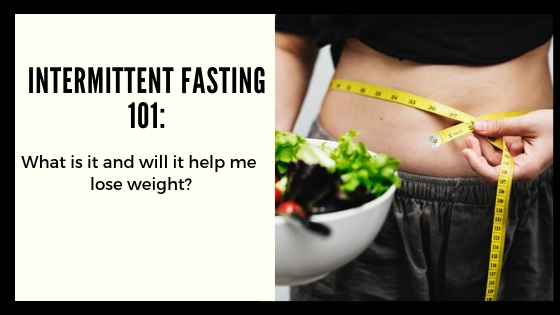 This week I talk about the different ways to do intermittent fasting, what other health benefits there are to fasting other than weight loss, what the research says on its effectiveness for weight loss, as well as things to consider before attempting intermittent fasting. And, I have a fabulous and super-easy recipe for you too (as usual!). Click here to find out if intermittent fasting is right for you!